Samrat Chowdhery has relentlessly been pursuing the cause of legalising vaping in India. With the banning of vaping accessories across many states in India, smokers have been finding it hard to procure. Various initiations and campaigns are in the process for the effective removal of the ban, and one person who is in the forefront of it all is Samrat Chowdhery. 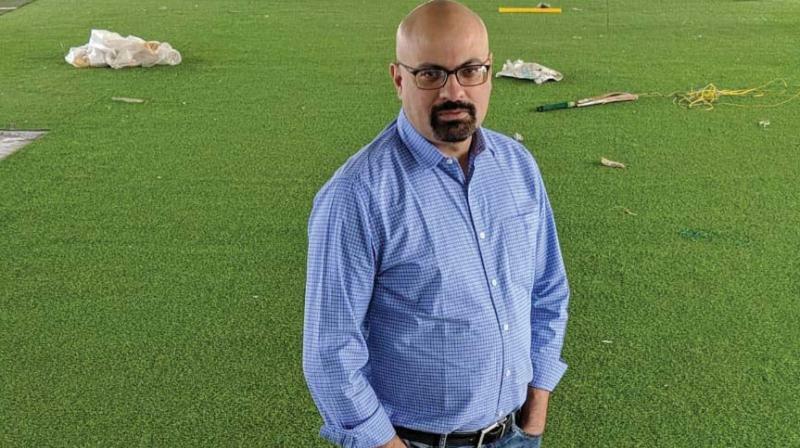 A vaping advocate and Mumbaikar, who passed out from Xavier’s Institute of Communications, Samrat has been on the pursuit to legalise its practice across India. By completely switching to electronic cigarettes in 2015, he himself recognised its positive effects and has been vouching for it ever since. “The issue caught my attention after Punjab banned it in 2014. But our movement became organised after the Karnataka vape ban in 2016,” says Samrat. He believes that electronic smoking equipments are a much safer alternative to the use of cigarettes. “Combustion of tobacco produces tar and it releases approximately 4,000 chemicals, out of which 90 are found to be carcinogenic”. Samrat raises the question of why not promote an option which is much safer but which further gives the same feeling and satisfaction of smoking a cigarette. “The government has banned the sale of Electronic Nicotine Delivering Systems (ENDS) by citing that they deliver nicotine and so can be addictive to users. At the same time, products like Nicotine patches and gums are widely available in the market and they are promoted extensively too by saying it helps curb the tendency to smoke”. His views are also backed by reports from Public Health England, which estimates that the long term use of electronic products is likely to be 95 per cent less harmful than cigarettes. But the presence of nicotine itself is one of the primary concerns of researchers and doctors. “Nicotine is a very lethal substance and it can cause harm no matter what the medium of its intake is. And e-cigarettes in addition contain a lot of harmful substances. Liquids like glycerine, metal particles and chemicals are used to make the flavour,” says Dr Nice Varghese, a cardiologist. Samrat criticises the government who he feels is succumbing to pressure from the tobacco and pharmaceutical lobbies (which provide NRT products) instead of trying to save lives. There has been a growing tendency to take up the “quit or die” approach, which focuses solely on the willpower of smokers to quit. This notion completely disregards the factors behind addiction and its outcomes. “The success rate of cold turkey quit attempts is only 5 per cent and it is 7 per cent by using NRT’s. Hence, we need to increase the number of ways in which smokers can quit, and not limit them further through bans,” Samrat concludes.